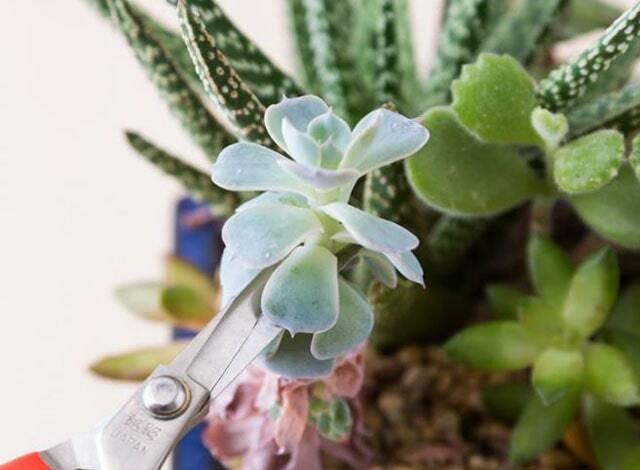 In this post, we will explain how to propagate succulents or grow more succulents from cuttings or leaves. The following step by step will lead you to be able to spread this unique plant easily. If we learn about succulents, it turns out that caring for and promoting more succulents is easy to do. For me, propagate succulents is easier than propagating other plants. But this is a challenge for me to propagate it in a dry area. Even though this is a challenge, just find some tips and tricks, and now it’s time for me to share with you. The technique that I use to propagate the succulent will be given to you. This technique may be not work in all climates, but this is good to try and we are succeeding. Species and genus in your succulent greatly determine how to propagate it. Sedums and Echeverias can be propagated with leaves or cutting. We try propagation with leaves for both. But you are also a species that cannot be propagated with leaves, you must do with cutting. This type cannot be spread with leaves but must go through cutting. So, you have to do lots of trials to find out how to propagate your succulent because each species is different in the way of propagation. If you try propagation with leaves, let’s look at the way. Turn the leaves gently from the trunk, make your pull clean and leave nothing on the trunk. So, pull the leaf right on the stem because every time I pull the leaf it doesn’t reach the stem, it always dies. So, pull the leaves to the stem, no matter if the stem is slightly injured. However, if you don’t want to break the leaves on your plants, you can buy succulent leaves that you are ready to spread on the ground. 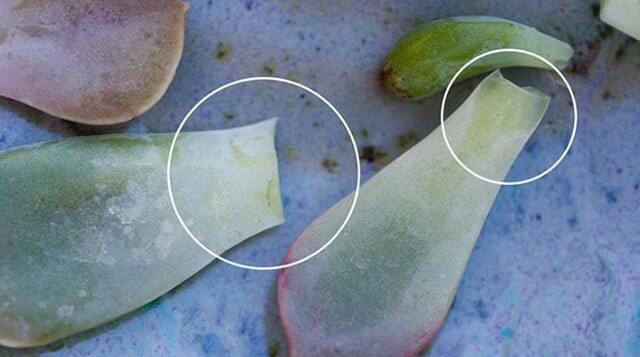 Succulent propagation is the cheapest way to increase succulent. Besides that, this is very interesting because you can enjoy the process of the appearance of a small baby on a leaf that you put on the ground. To get a cutting you need a sharp knife or pruning shears. Cut the succulent on the stem, just above the leaf. You can cut off the branches of the main stem or branches. The important thing is to do a cut above the leaf armpit so that new shoots appear on the leaf. After cutting the leaves or branches, let them dry before you do anything else. Leave for 2 or 3 days, after the slimy part is dry, you can do the planting. After planting your new succulent, you do not need to water every day. Even too much water can cause them to change and even die. The process of planting leaves must be careful. Avoid the tip of the leaf exposed to the ground. 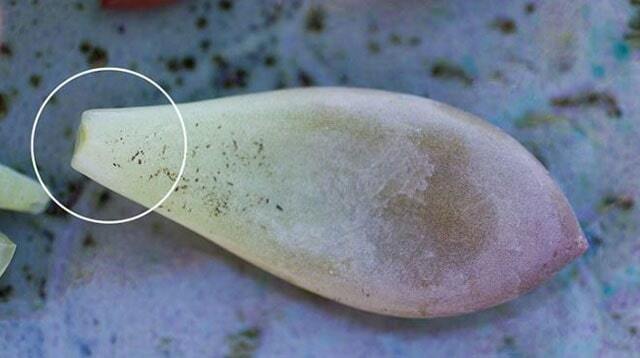 Some experts suggest that the leaf tip touches the ground, but I have never succeeded in this way, many leaves do not grow new succulents, they only grow their roots. You may follow the method I applied or try another method. If you are cutting, you must plant as usual on the ground and water it. This method is usually easier to grow but the propagation process does not produce many new plants. The watering process only needs to be done if you find the soil dries. Every time you flush, the roots will always develop until finally a new shoot grows on the leaf tip or every axillary leaf (if you plant cutting). After planting, you just wait for the results, it takes a few days for the roots to appear. This depends on the temperature and weather in your place. Usually, results will appear in two or three weeks.